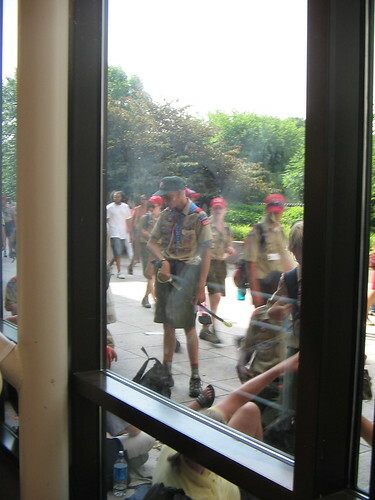 In case you’re wondering why DC is suddenly crawling with boy scouts, it’s the 2005 National Scout Jamboree in Fredericksburg, VA, starting tomorrow. The Jamboree lasts ten days, so start getting used to the sight of boy scouts from now till next week. Sadly, I heard 4 scout leaders died on the first day of the Jamboree in an electrical accident.